If you’re a watch geek – especially if you’re a WIS (if you know what that is, you probably are one) – you need to be on Instagram. 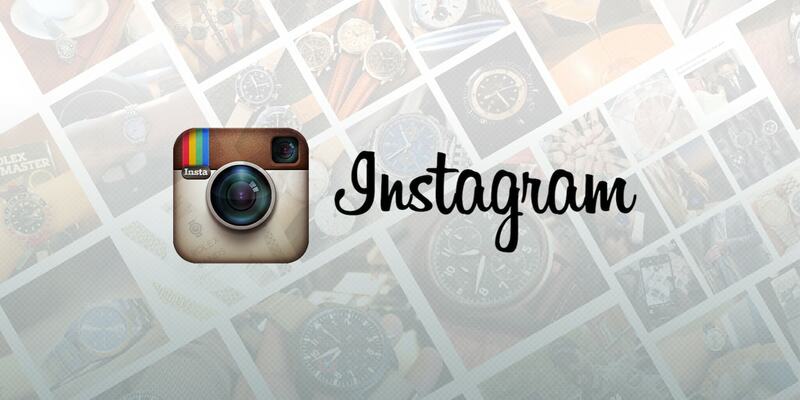 In case you haven’t heard of it, Instagram is a social network with an emphasis on photos. It’s tailor made for smartphones with cameras. It gives you a rolling feed of photos posted by the people you follow. Not unlike Twitter for pictures (yes, we know you can do pictures on Twitter. It’s not the same.). In a pinch, you can view and comment on your Instagram feed on your computer. Use Websta.me for a better experience viewing Instagram online. You can’t post photos from your PC though. @craniotes – Adam Craniotes is the founder of Red Bar, a watch get-together in New York City that’s been going and growing for nearly a decade. @watchfred – Collector of vintage Breitlings – and vintage everything. If you like that sort of thing, make sure he’s in your feed. @Jlee_5050 – LA businessman and instigator of the LA Watch Gang, Los Angeles’ answer to Red Bar. Very eclectic watch collection, from Seiko mods to a Patek Philippe Nautilus. @Watchanish – Watch and style blogger Anish Bhatt went from basically zero to 700,000 Instagram followers in two years. @spanishrob – Part of the WatchAnish community, with beautiful photography of beautiful watches. 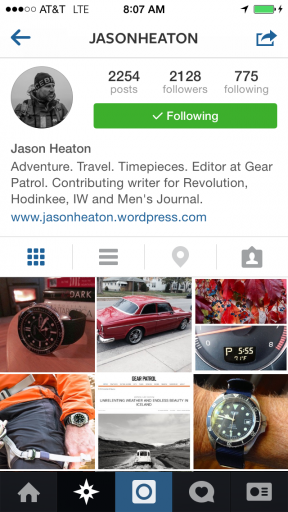 @jasonheaton – Staff writer at GearPatrol.com, contributor to Revolution Magazine, and all around adventurer. Jason SCUBA dives, mountain climbs, and does everything in between – all while wearing cool watches. Following these seven will lead you deeper and deeper into the abyss. You’ll keep finding more and more people to follow, and that’s the point. Just to get you started down that slippery slope, give your two Beckertime bloggers– @davekaiten and @EdEstlow – a follow. We post a few watch pix (and a few other things) now & then. One last tip – brush up on using your Emoji keyboard.